bandwagon with its Siri speaker due to be released soon. This is why businesses should include voice search in their online marketing campaign, rather than focus solely on text-based searches. In fact, voice search marketing is described as the new norm, which would have been unheard of just five years ago. One major factor is the increasing efficiency of machine-learning technology in finding user patterns to anticipate their needs. For instance, Amazon’s Alexa is billed to be capable of performing over 12,000 tasks, which is why it’s still the undisputed king in this increasingly competitive industry. In the past six months, 40% of mobile users have tried voice commands in asking questions or searching for products and services. Analysts believe this number will only continue to rise until such time when people won’t even be able to imagine how they survived without voice-activated apps in the first place, similar to how they feel about mobile phones today. 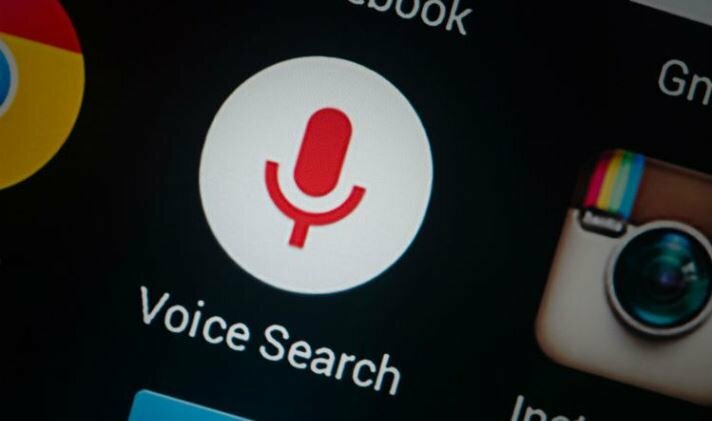 When it reaches this critical mass, Google will surely introduce an update to its algorithm that will take into account voice search in order to rank your page. For marketers, this would be an entirely different beast altogether. Whereas text-related keyword searches are much easier to document, recording how many people are looking for “best pulled pork sandwiches, Lexington, KY” using voice search will be a tall feat. This will really turn the search engine optimization dynamic—which is the direct result of years of honing and polishing—up on its head. internet users to skip one step. Instead of searching for “pulled pork sandwiches,” they can just go ahead and order the food from the best restaurant based on customer and critic reviews. Instead of searching for a particular song you can’t get out of your head, it may be possible in the future to hum the lyrics and the smart speaker will play the whole song for you. This brings convenience to a whole new level, unlike in text searches where you have to choose and phrase your words in a specific manner to get the most relevant results—and still having to go to that particular website to order food. Mobile Optimization – As voice search apps are gradually perfected, mobile optimization will become even more crucial. Website built with Flash will need to be redesigned and all websites will need to be responsive. Marketers will need to advise their clients of this major shift from traditional search to voice search. Another way to optimize the mobile experience is to make sure that their sites load fast. There’s no faster way to lose customers than a website that takes forever to display. Snippets – In voice searches, snippets are short descriptions about the company or the brand. This gives the users a little bit of information before they move along or move forward. Using traditional SEO techniques, you will need to optimize so you end up high on the search engine results page for snippets. Long-Tail Keywords – Voice search is different from text search in the sense that internet users will often talk normally as they would in a conversation, as opposed to using key phrases or keywords when they type on Google. This is where long-tail keywords are crucial because you can still reach your target market even with this major shift in the way people do their search.